In mid-2015 I was approached to work as a claims assistance provider at the Manus Regional Processing Centre. Initially, I was hesitant because I did not want to be part of an arrangement I believed was morally, if not legally, reprehensible. The processing of asylum seekers was of concern enough, but that the Australian and Papua New Guinea governments actually agreed that resettlement of those found to be refugees was possible in PNG was astounding. I remember my prospective employer asking me during our early meetings what I thought would happen at the end of processing. I told her of my experience with seven West Papuan asylum seekers in 2013 who had raised the Morning Star flag in West Papua with the support of Australia activists. Raising the Morning Star is a crime in Indonesia, and the seven young men (one was a child) were pursued by the Indonesian military as a result. They fled West Papua by trekking into PNG, where they spent less than 48 hours, before making it to the Torres Strait islands by boat. The men handed themselves over to the Australian authorities on arrival and were subsequently sent to Port Moresby by aircraft. In PNG, they were given a week within which to either make an asylum claim or face deportation to Indonesia. Australia stated that its actions were determined by a 2003 memorandum of understanding with PNG relating to migration, refugees, irregular migration, and people smuggling. That MOU allowed for irregular arrivals to be sent back to PNG if they transited in that country for more than seven days. When it was put to the then Australian Minister for Immigration, Scott Morrison, that the young men were in PNG for less than seven days, he responded that in this case, PNG had granted a concession. Much effort and government funds were spent by both Australia and PNG to ensure that the seven West Papuans made their asylum claims in PNG and were not deported; however, the West Papuans refused to make asylum claims in PNG, and were flown by private charter to the remote East Awin refugee camp in PNG’s Western Province. Of course, once the young men got there, they realised there was no camp supervision, limited facilities, and no accessible administrative or legal processes. It must have dawned on them that if they chose to leave the camp and go to other parts of PNG, or beyond, none would be the wiser, including PNG Immigration. These young men are no longer in East Awin, and were never processed further by PNG Immigration. As is commonly the case in PNG, once the funding and heat behind the issue disappeared, so too did the ability to care. Australia, meanwhile, distanced itself from the men once they became PNG’s problem. I told my prospective employer that this was what I imagined would happen to the Manus Island refugees. Aside from the obvious social and cultural difficulties of resettlement in PNG, Australia would need to fund resettlement indefinitely for it to work, or to at least be prioritised by the PNG Government. Three years on, it seems that I was not far off the mark. 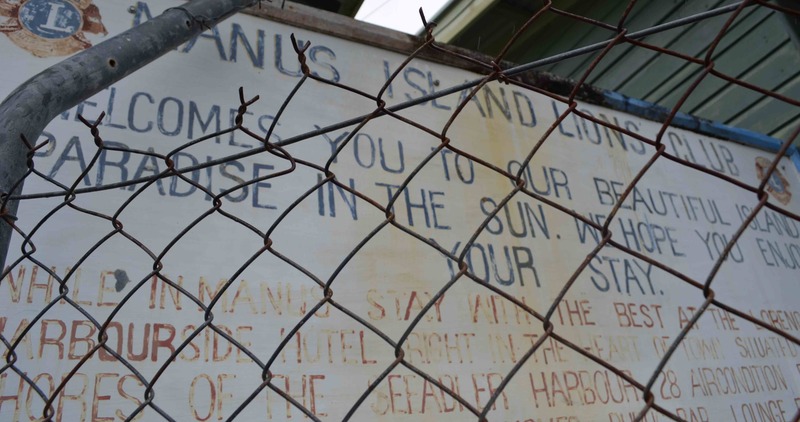 Very few refugees on Manus Island have been “successfully” resettled; most remain absolutely dependent on the accommodation and stipend provided by the PNG and Australian immigration departments. Additionally, Australia and PNG have previously taken out several contracts with specialist resettlement agencies, and have now contracted Applus+ Velosi JDA Wokman, a job recruitment agency, to take over resettlement. It has been at least three years since the costly resettlement program began, yet there has been limited success, and success in the future, for most refugees, seems unlikely. A few have done what the West Papuans did, disappearing into PNG communities, but unlike the Melanesian West Papuans, the Manus Island refugees are physically and culturally distinguishable by Papua New Guineans and can be easily traced when the funds and impetus dictate. As in the case of the West Papuans, when the Australian funding and heat stops, PNG Immigration will be unable to do much for the Manus Island refugees. But it will be significantly more difficult for the Manus Island refugees to integrate on their own, without government support, than it was for the West Papuans. Resettlement in PNG is never going to work for the majority of refugees, and exceptions are not the rule. The US has shown it is not willing to take many refugees. The PNG Government would be wise to execise its sovereignty and accept New Zealand’s offer to resettle Manus Island refugees, or to at least allow for an innovative resettlement program that creates pathways for resettlement outside PNG in cooperating countries.